Nature lovers can be defined in many ways, because we are very different human beings, but one thing that I always find in all of us, is the capacity for surprise and the excitement that any natural event that we find provides. We also know that it can happen anywhere at anytime, I’m sure that, while reading these lines, if you are a nature lover, you are reliving one of the memories of wild encounters under strange situations, at the “wrong time”, “wrong place” or just in an unexpected location. 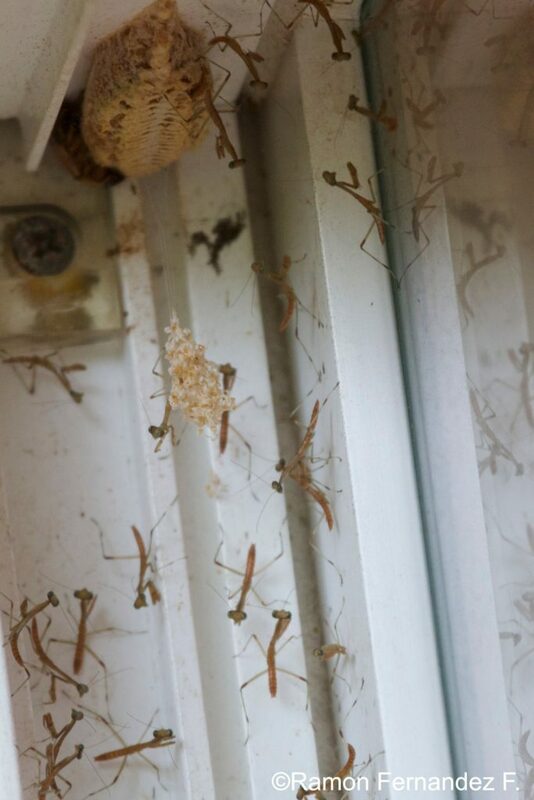 One event that we got to witness was a praying mantis hatch … in our window! As you can imagine, it was not hard to find, but the timing was great. We got to see all the young mantis around their Ootheca, which is the protective covering that houses the eggs until they hatch. Young praying mantis will hatch from 3 to 6 weeks after the eggs were laid and they will be an avid predator like its parents. 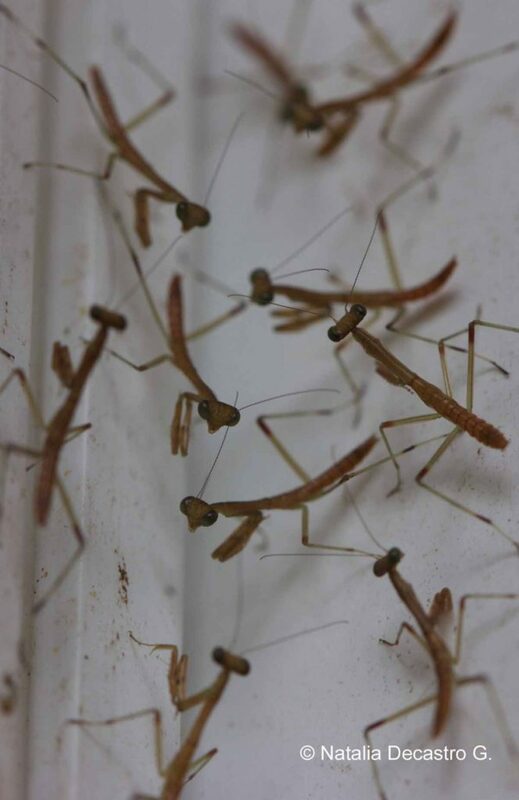 These nymphs go for small prey but can also feast on their siblings as some studies point out. It was a gift to be there, witnessing this amazing natural event. When we found them, not knowing how much time the hatch would last, we immediately went to the school to show the kids and anybody we found along the way. Almost everybody on site that day got to experience this ephemeris nature show and we all have a new memory to store in our wildlife encounter’s shelf.